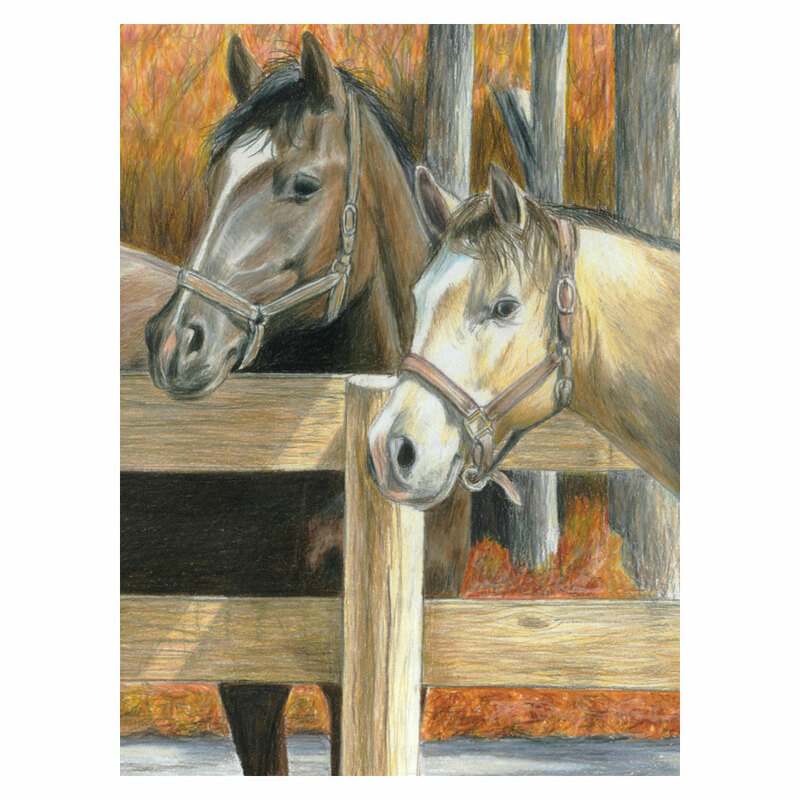 A lovely pencil by numbers showing two beautiful horses side by side. Suitable for ages 8 - 88. In the set you will receive a printed picture, the necessary coloured pencils, a sharpener, and fullinstructions. You will enjoy the relaxing time you spend completing this lovely picture and once completed, you can frame it and display it in your home. These also make wonderful gifts for your family and friends too.